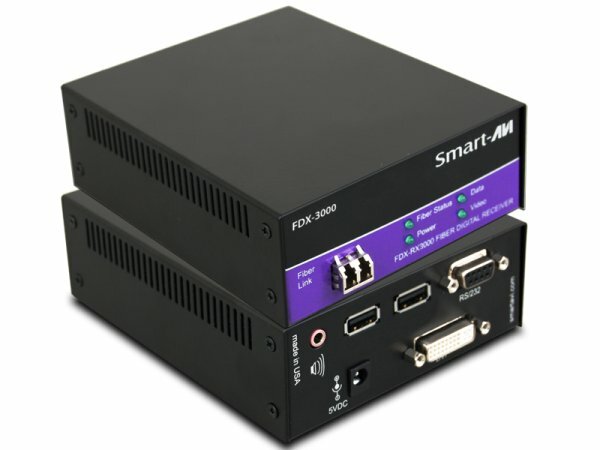 The FDX-3000 consists of a transmitter and receiver that extend KVM, DVI-D, audio and RS-232 signals. It is a professional quality KVM capable of extending signals up to 1,400 feet (400m) over a single multimode fiber optic cable. 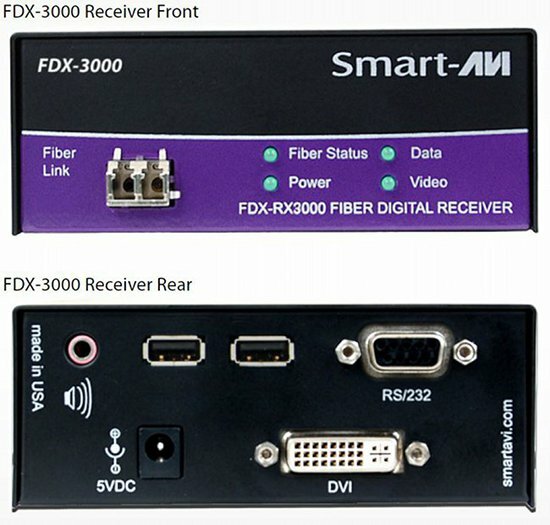 Point to Point DVI-D, USB Keyboard & Mouse, Audio and RS232 over Multimode Fiber Extender.